← Thieves, Cultists & Treasure, sounds Familiar ? Dreadfully slow progress on the lead mountain due to the inclement weather here in the UK. 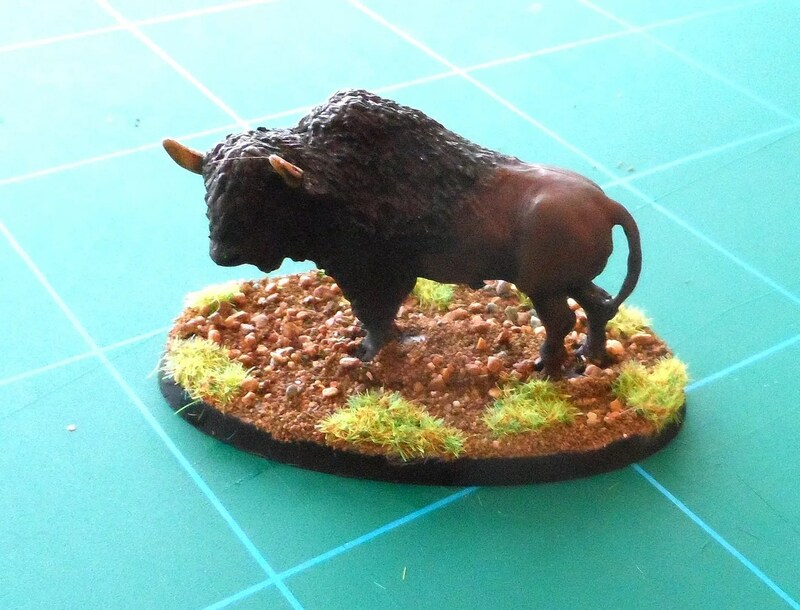 A male Bison – a freebie from Foundry earlier this year. Quite a nice big model, so I didn’t feel like giving it away. 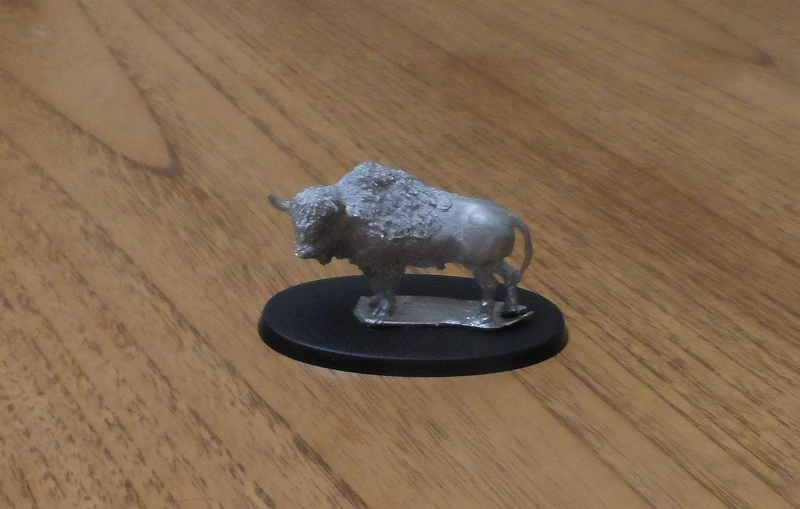 No idea what I’ll use it for, but seeing as I’ve used Lions in AVBCW something will come to mind. An easy paint in these low light levels. These three fellows were painted before the snow, and then took a day to be photographed, again due to rubbish light levels. 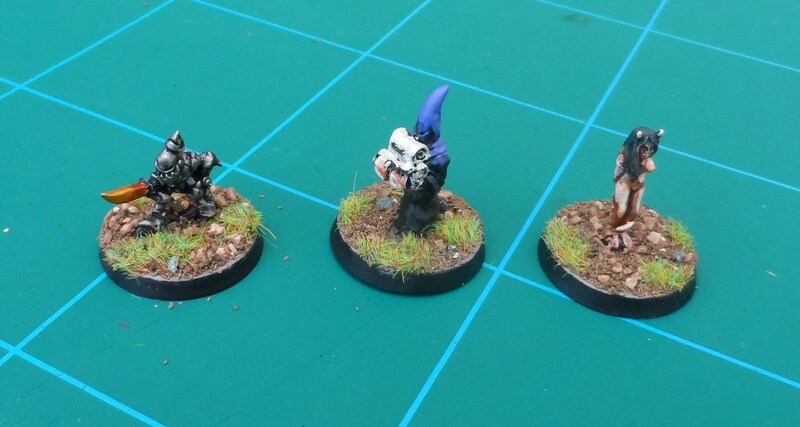 I now have all but three of the Chaos Familiar models – another unexpected project. I find having the Familiar Spell for Frostgrave wizards almost mandatory to give those extra 2 health points. So with the poor light levels, I thought what could I do ? 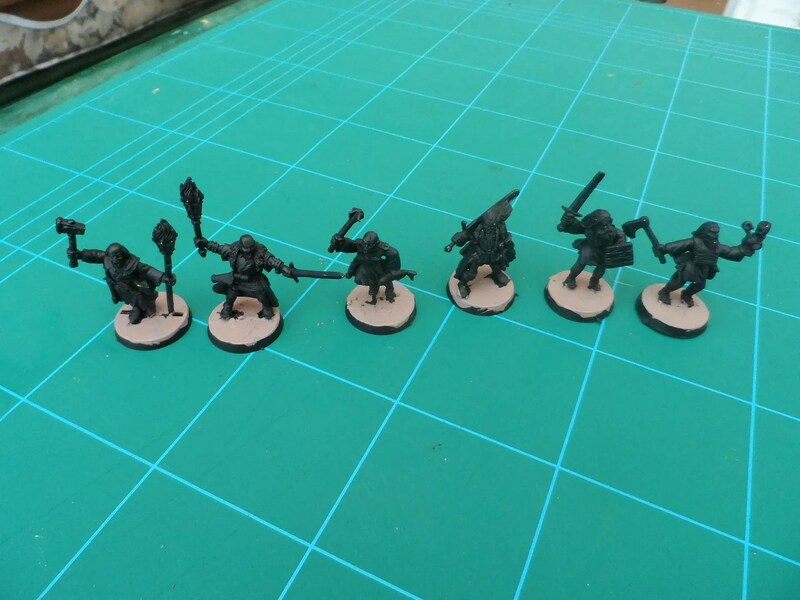 Well these guys have been loitering undercoated for over a decade, so I decided to start block painting them as that can be done easy enough. I have another 6 figures including two wizards awaiting highlighting, and am working on another 6 or more so it’ll be bonanza time if the weather is lifting as they forecast in the next few days. It also means I won’t have two cranky cats sitting in front of me angry I have not turned the weather off !